ST. GEORGE – A resolution supporting Utah’s Transfer of Public Lands Act is making its way through the municipalities of Washington County. Nearly a year after House Bill 148 was signed into law by Gov. Gary Herbert the Washington County Commission has drafted a resolution supporting the measure. The County Commission passed the resolution in its meeting on Tuesday. Meanwhile, the resolution has also been sent to the councils of the county’s various municipalities for passage. Leeds and Enterprise have passed the resolution. The City of St. George joined that list Thursday, passing it with a unanimous vote from the City Council. In a nutshell, the Transfer Public Lands Act, or simply HB 148, calls for the federal government to return management of public lands to the state, with the exception of national parks and monuments, tribal lands and wilderness areas. The federal government has until Dec. 31, 2014 to hand over management of public lands to the state, or face possible litigation. 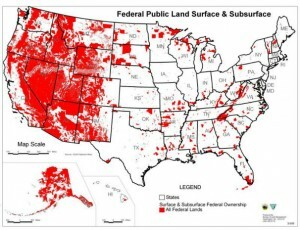 Around 65 percent of Utah’s land is currently managed by federal agencies. Proponents of HB 148, such as Washington County Commissioner Alan Gardner, believe the state can manage its own lands better then bureaucrats out of Washington, D.C. can or ever will. Aside from arguing local control over out-of-state oversight, the topic of funding for public education is also raised when it comes to public lands. Revenue generated from public education comes from taxes gained through public land usage. However, the state is unable to collect taxes on public lands overseen by federal agencies. Instead, the government gives Utah and other states PILT funds, or “Payment in Lieu of Taxes.” Gardner said the PILT funds do not provide anywhere near the amount of revenue that state-level taxing would. He said this is a part of the reason why western states like Utah are ranked low in the nation for educational spending. Gardner also said many jobs could be created by returning public lands to state control. He also said there is over a billion gallons of oil in shale waiting to be tapped in Utah and neighboring states. “We could produce local oil instead of importing it,” he said. Opening up public lands to oil and other industries will create jobs and make the country more energy dependent, he said. Not everyone is crazy about the idea of Utah taking over public lands. When HB 148 was first signed the Southern Utah Wilderness Alliance issued a statement decrying the bill. SUWA claims the measure is unconstitutional and will not help Utah schools. They also state the Utah Legislature will sell public lands off to the highest bidder. That bidder could be anything from real estate developers to mineral extraction companies, opponents argue. “The only way to make money is by getting (the public lands) used in some way,” said Dorothy Engelman, chairwoman of the Washington County Democratic Party. Engelman attended the St. George City Council meeting Thursday, though did so as a private citizen and not in her official capacity. Personally, she said, she sees the County Commission’s resolution supporting the Lands Transfer Act as a way to get more mileage out of the issue and keep it in the news. Gardner said the resolution was meant to send the message to the state government that Washington County and its municiplaties are united in their support HB 148. He said that a number of other communities and counties had passed similar resolutions, and that even neighboring states, like New Mexico, were looking at public lands legislation similar to Utah’s own. The federal government’s management and over-regulation of public lands “simply falls so short on what we could do with our lands,” St. George City Council member Gil Almquist said. Ma’am, YOU can donate YOUR tax dollars on something so ridiculous if YOU wish. Leave me out. “Over a billion gallons of oil in shale in Utah and neighboring states, we could produce local oil instead of importing it….” Now that statement right there, ladies and gents, is the most intelligent thing I’ve ever heard out of a local good ol boy’s mouth! So someone finally figured out a commercially viable way to extract light sweet crude out of kerogen shale? One that we have enough water and energy to make viable? That’s huge news right there. Gardner should inform the world of this discovery since no reputable company has made such a claim yet. Mr. Gardner, I’ll be sure to ask what Obama and Congress think of your idea!! Maybe more states will follow and gas could possibly be less than a dollar a gallon!! Alan “sold to the highest bidder” Gardner is the last person who Utahns should want to get control of federal lands. He already snatched land that belonged to Snow Canyon State Park so developers could built the ugly houses of The Ledges. The Transfer of Public Lands bill is just a message bill that is racking up court costs to the detriment of all of Utah, especially students who lose out every year because of nonsense message bills passed by the Utah Legislature. 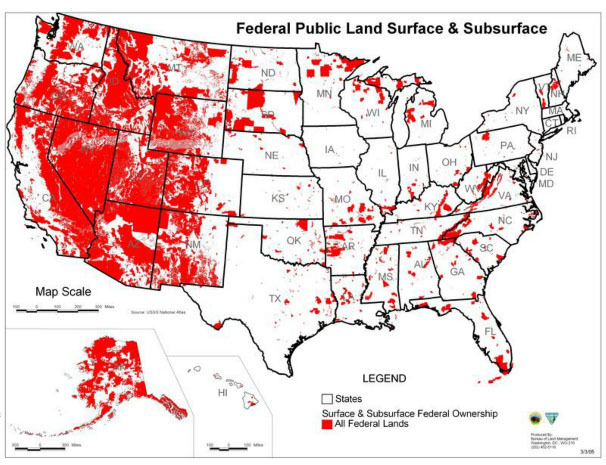 To correct a misstatement; 65% of the land in Utah is not owned by “several federal agencies”. It is owned by ALL of the people of the United States, held in trust by the U.S. Government, and managed by several federal agencies. Any oil or gas extracted by multinational corporations will be sold on the world market to the highest bidders and will probably not affect our oil and gas prices except to maybe drive them up. The cost of the infrastructure (transportation, electric, and water), the soil, air and water pollution, the destruction of wildlife habitat, and the effects all of that will have on Utah’s tourist industry, make the extraction of oil and gas from shale in Utah a lose-lose situation. Take a look at what the coal industry has done to southeastern Ohio and is doing to West Virginia. Take a look at the areas in Canada where they are extracting oil from “oil sands”. Exactly, Tom. Why do Utahans have so much trouble understanding these basic facts? I was shocked to find, when I moved here, that they really don’t appreciate the beauty and recreational advantages of OUR public land.